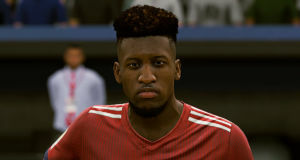 FIFA 19 will include a refreshed Kick-Off mode with new match types, stat tracking, and more, making it easier and more exciting for you to take on your friends anywhere that you play FIFA 19. 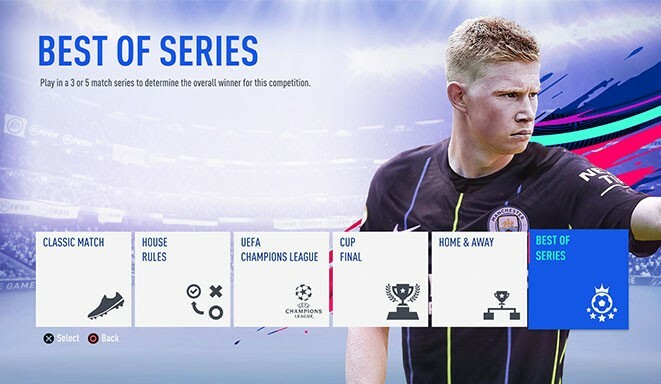 In addition to Classic Kick-Off, which is simply a normal match without added visuals or modified rules, there are five new match types that players can choose from UEFA Champions League, House Rules, Best Of Series, Home & Away, and Cup Finals. Each type has a twist on the normal match experience in Kick-Off, keeping things interesting and fresh every time you play. 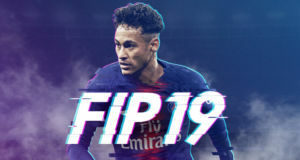 UEFA Champions League — The most prestigious club competition in the world is just as integrated into Kick-Off as it is to the rest of FIFA 19. From group stage matches to the Final, you can set up a custom Champions League match with specific visuals, rules, and more that provide a realistic, immersive tournament experience. House Rules — If you’ve ever wanted to play a match in FIFA with different rules—or no rules at all—the House Rules match type is just for you. You can set up a match with a selection of custom rules, including No Rules, Survival, Long Range, First to . . ., and Headers & Volleys. Survival Mode— Each time a user scores a goal, a random player from the scoring club is removed (excluding the goalkeeper) to create a challenge for the player with a score advantage. No Rules — Anything goes in this match type, in which there are no offside calls, fouls, or bookings. Long Range— Any goal scored inside the box will count as one goal, but goals scored from outside the box count as two goals. First to. . .— This match type lets you set a custom win condition, whether it’s first to score (golden goal), first to three goals, etc. The match will still play to the clock and go through full time, as well as extra time and penalties, if you choose. Headers & Volleys— You can only score in this match type with a header or a volley. Free kicks and penalties also count, but any other goal scored using your feet outside of a volley will be disallowed. Best Of Series — Play classic matches in a three- or five-match series to determine an overall winner. Home & Away — This is a two-legged match type in which you play one home and one away match to determine the overall winner. The winner is determined by the aggregate score, which is the team that has scored the most combined goals from those two matches. If the teams are level after two matches, the team with the most away goals will be determined the winner. If the teams are still level, the match will go to extra time, then to a penalty shootout. Cup Finals— Play your match as one of a handful of real-life cup finals, including the Champions League Final, Europa League Final, FA Cup Final, and others. Official kits, badges, match balls, and authentic broadcast overlays (for a select few tournaments) provide an authentic cup final experience. Now you can track your Kick-Off mode record and stats, including detailed analytics, from all matches played within the mode. Use the stats to analyze and refine your game plan, tweak your pre-game tactics, and prepare for every match. This advanced system tracks all available Kick Off mode gameplay information about you and your opponent. 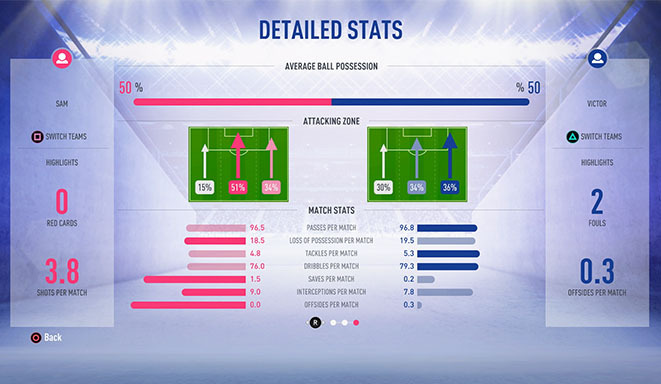 With a host of detailed, immersive information, FIFA 19 allows you to approach every Kick-Off match just like you would an actual game of football, utilizing tactics and strategies gleaned from your stats. You can view your objective stats or compare them to any opponent that you’ve faced in Kick-Off mode. *Note that Stat Tracking works slightly differently on each console. See the Account Linking section for more details. 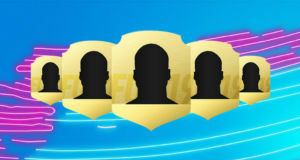 Create your own Kick-Off Name to save your stats to our servers, so that you can check your progress anywhere you play FIFA 19 on your console of choice (IDs cannot be used across consoles). Once you log in via your console profile, link your new Kick-Off Name and continue your Kick-Off experience on any console. Create new Kick-Off Name or choose an existing Name. If you need to create a new Name, you just enter the name of your choice and confirm. Whether you want to play a game of Kick-Off with a friend down the street or just at home on your own couch, Kick-Off Name lets you keep track of your stats, no matter where you are or who your opponent is. 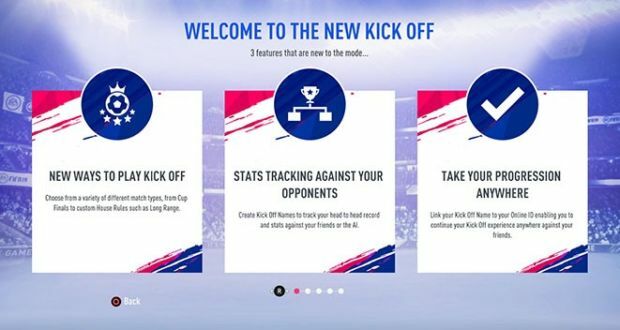 Create your own Kick-Off Name to track your match stats from previous sessions and every time you play Kick-Off (using Select Existing Kick-Off Name). You can also link your Kick-Off Name to your Online ID to keep a record of your stats no matter where you play. Create your own Kick-Off Name to track your match stats per session when you play Kick-Off with friends. You can also link your Kick-Off Name to your Gamertag when you sign in to track your stats every time you play. Create your own Kick-OffName to track your match stats when you play Kick-Off with friends.